No Handling Fees. Shipping calculated by weight at our farmstore website when you use the Buy Now button below. Did you know alpacas are the most efficient food processors? 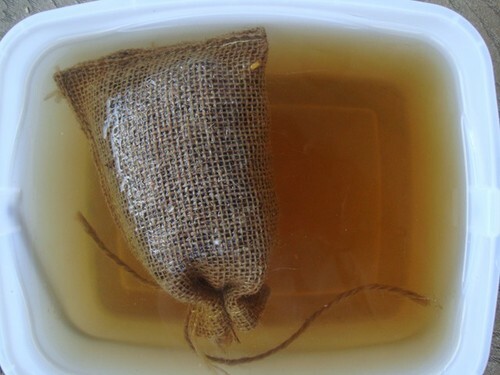 Because of this their dung or "beans" are not HOT like that of other farm animals. These beans are full of nutrients that are good for your plants and flowers. 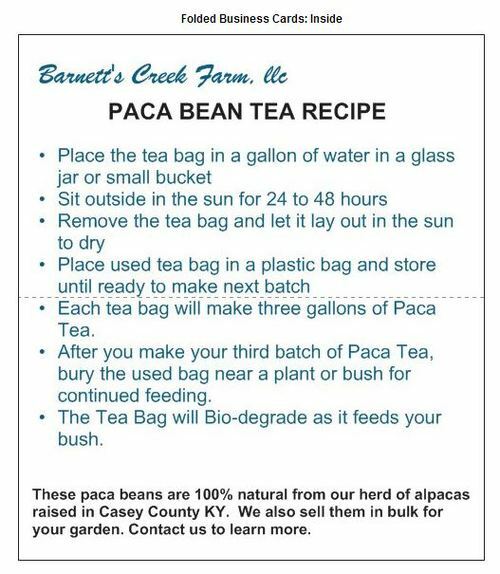 We collect the beans from our pastures on a daily basis to remove parasites and keep our alpacas healthy. Some of these beans are then laid out in the sun to dry on a screen table. Once dried they are packed into these little 4 x 6 inch bags for sale. 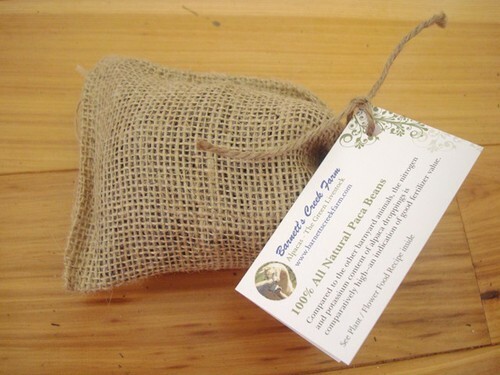 The beans in these bags will make from 2-3 gallons of rich bean tea for your plants. With very little odor !!! The bag is bio-degradable and you can bury the beans in the bag near a plant or shrub to continue feeding. Buy 4 and Save ! Use the link below to go to our farm store and complete your order.